1/5 share available in established Boat Equity syndicate. Extensive mechanical work has been completed in 2018 so this Riviera is ready to enjoy. 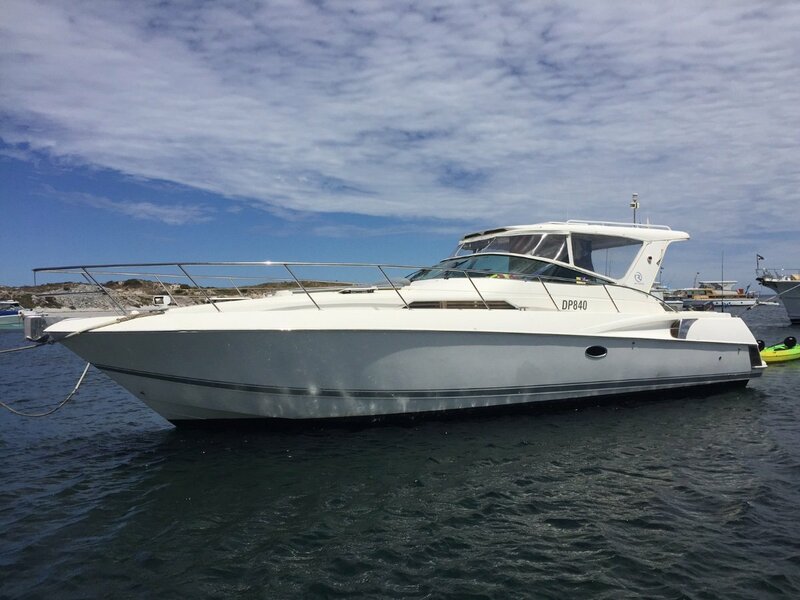 The M400 is a great family boat ideal for extended stays at Rottnest. The cockpit has comfortable seating with a hardtop for sun protection. Downstairs there is air conditioning, two cabins, one bathroom, galley with electric appliances, and a spacious saloon. Please call Evan Moore on 0408 606 77 0 for more information.